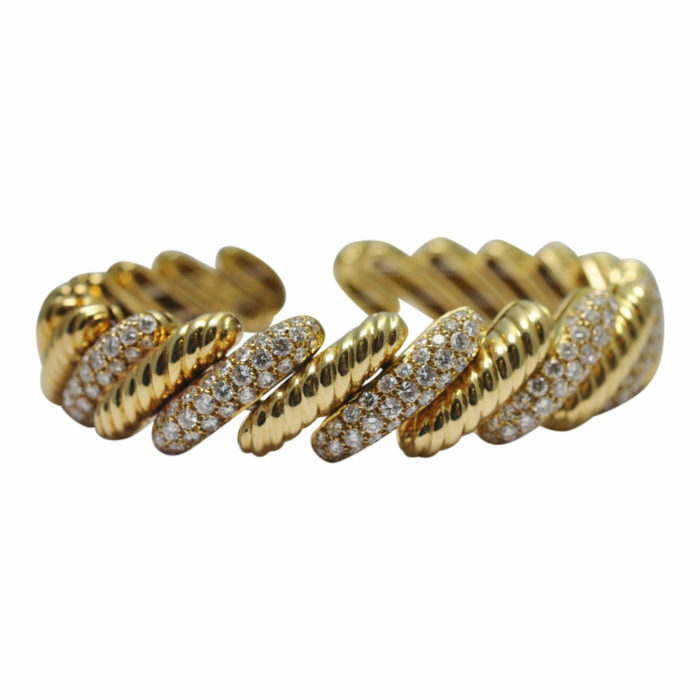 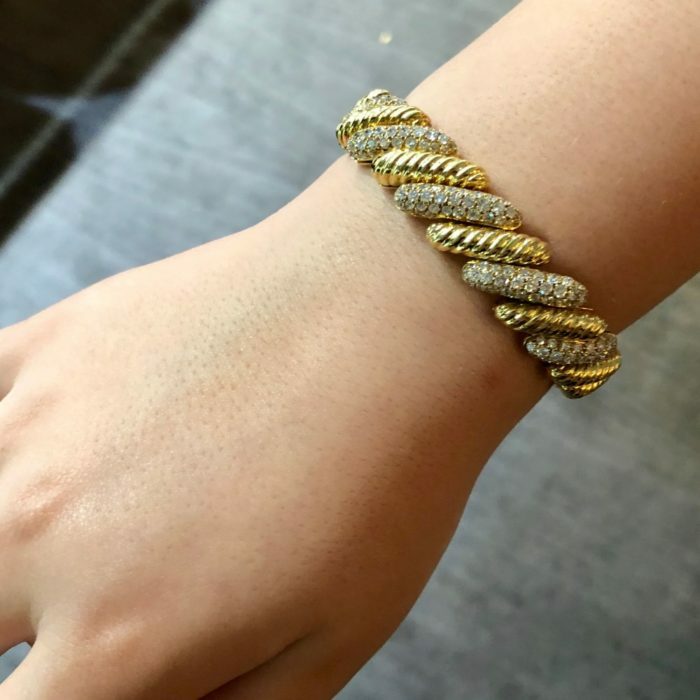 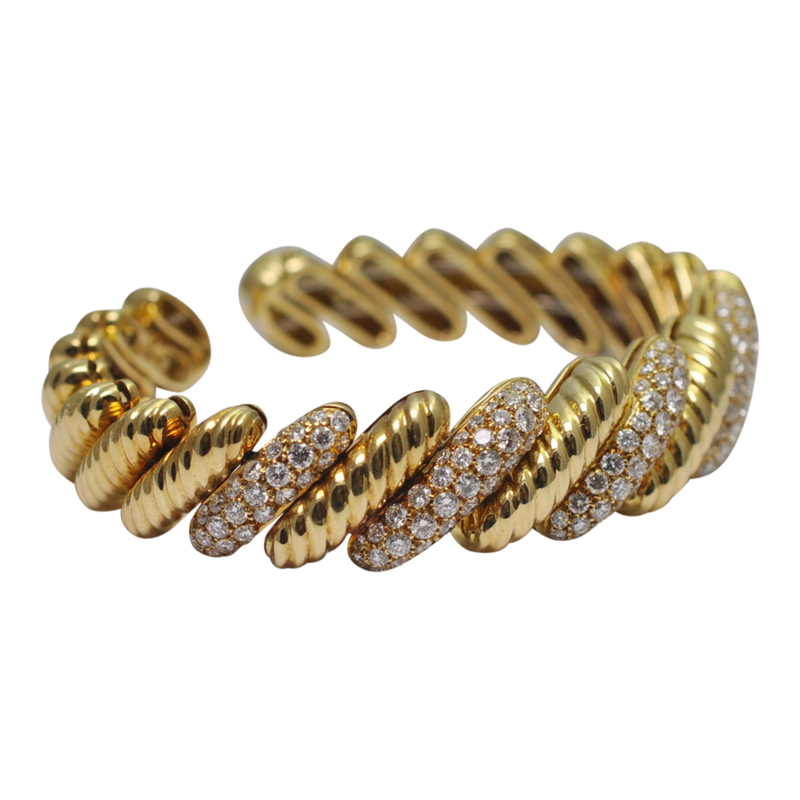 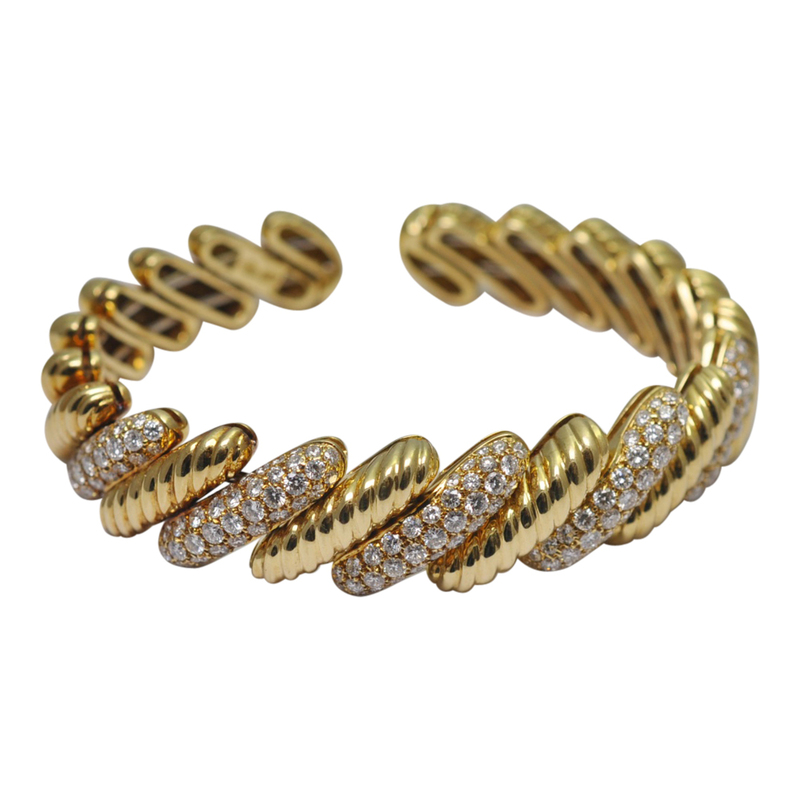 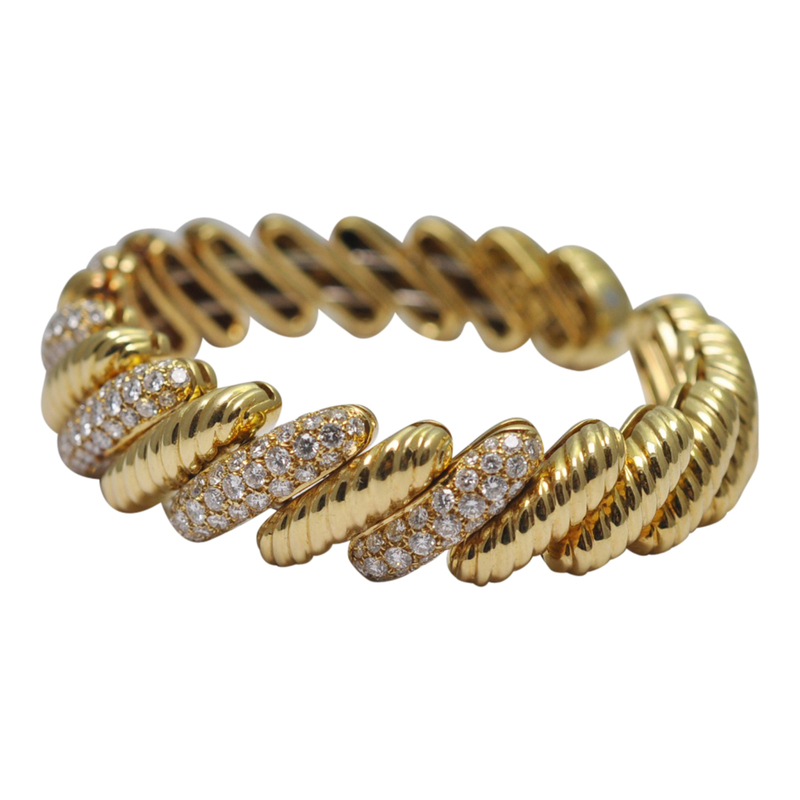 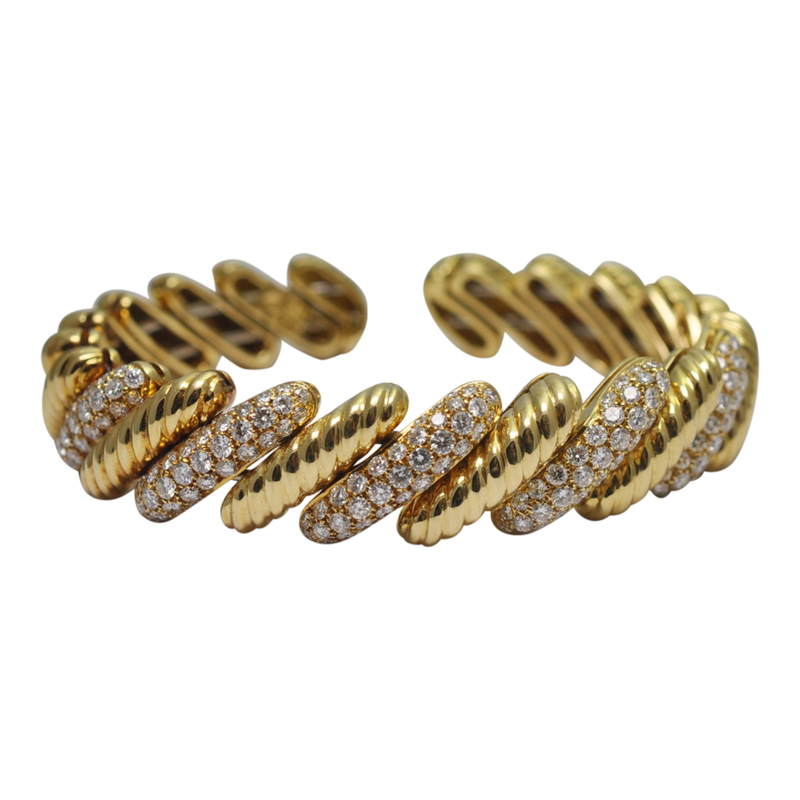 Flexible 18ct gold and diamond open bangle; this super stylish bangle is formed of alternating diagonal sections of gold and diamonds. The diamond sections are each set with three rows of brilliant cut diamonds weighing a total of 3.50cts. 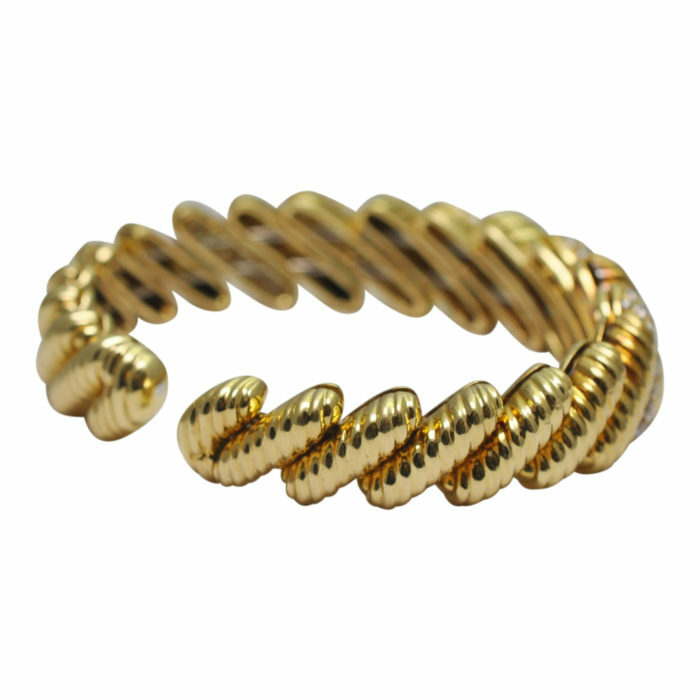 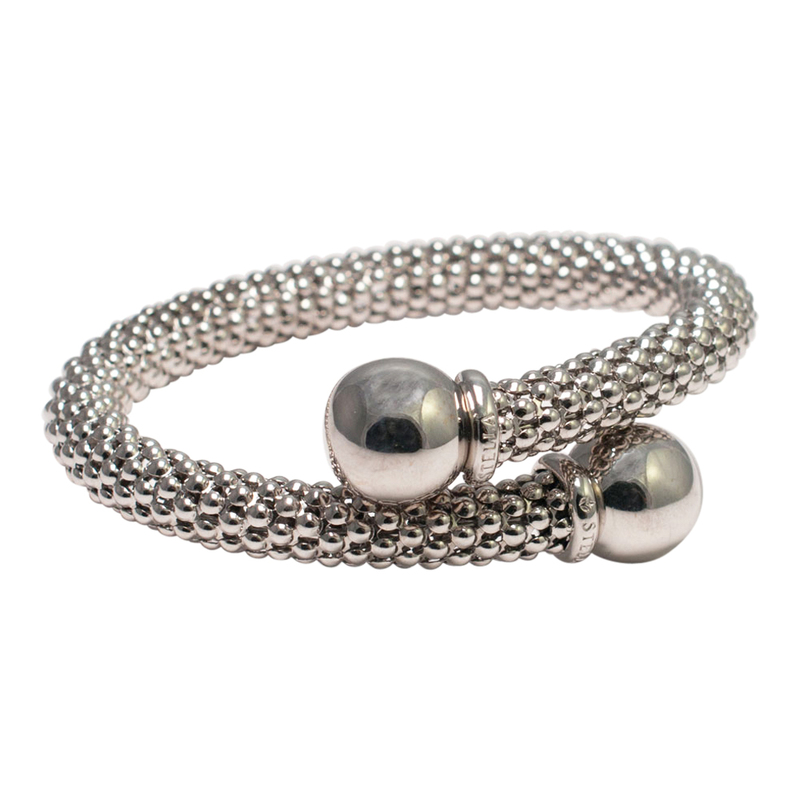 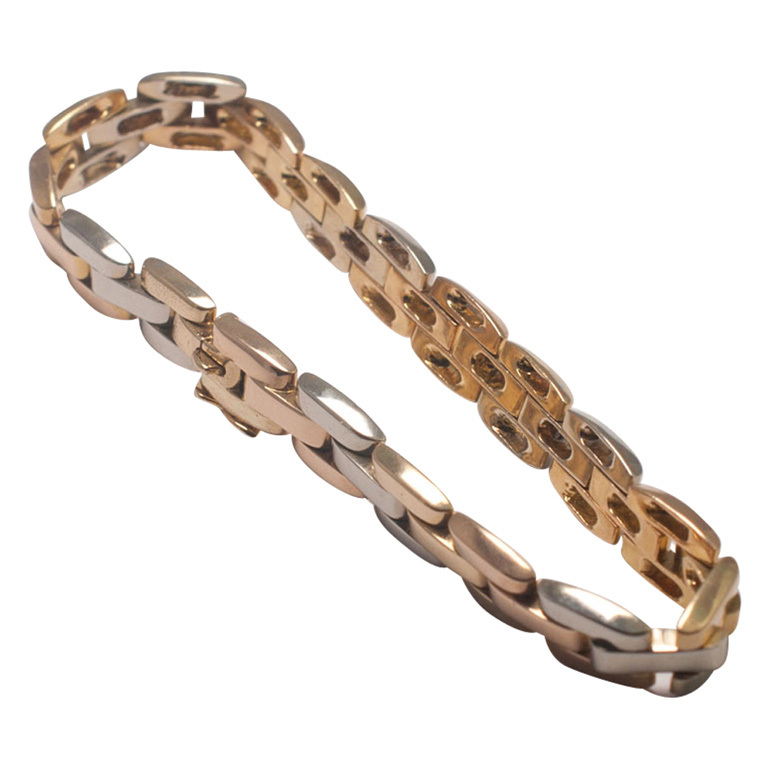 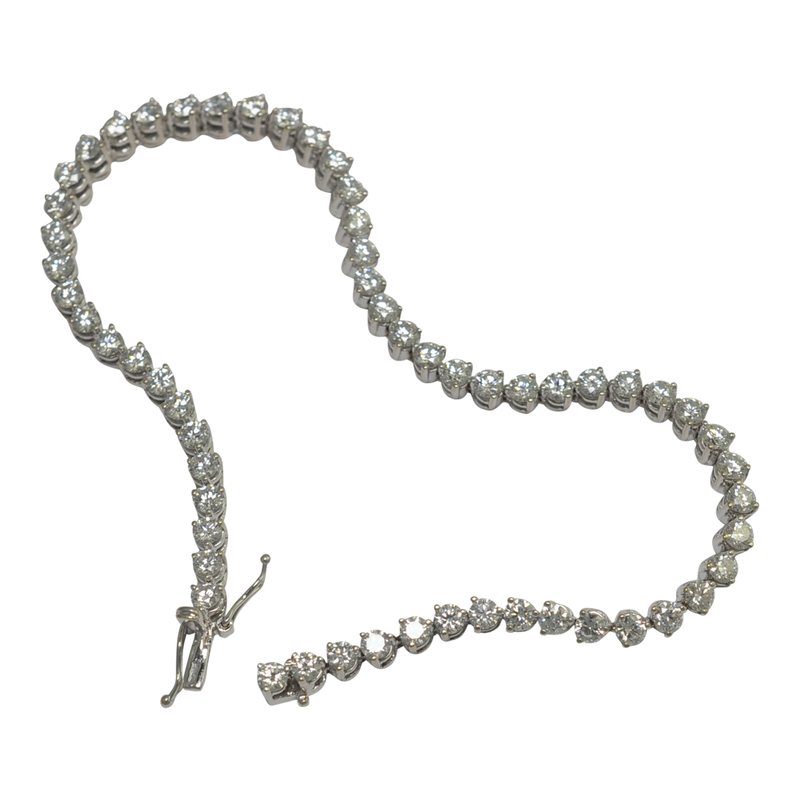 This is an extremely comfortable bangle to wear and easy to take on and off. 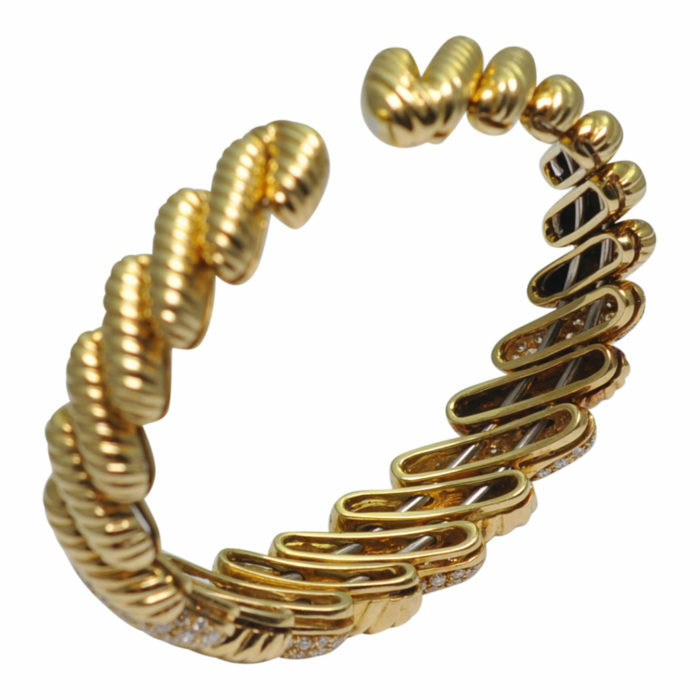 Gross weight 58.47gms; internal diameter 5.5cm so it will fit a medium sized wrist. 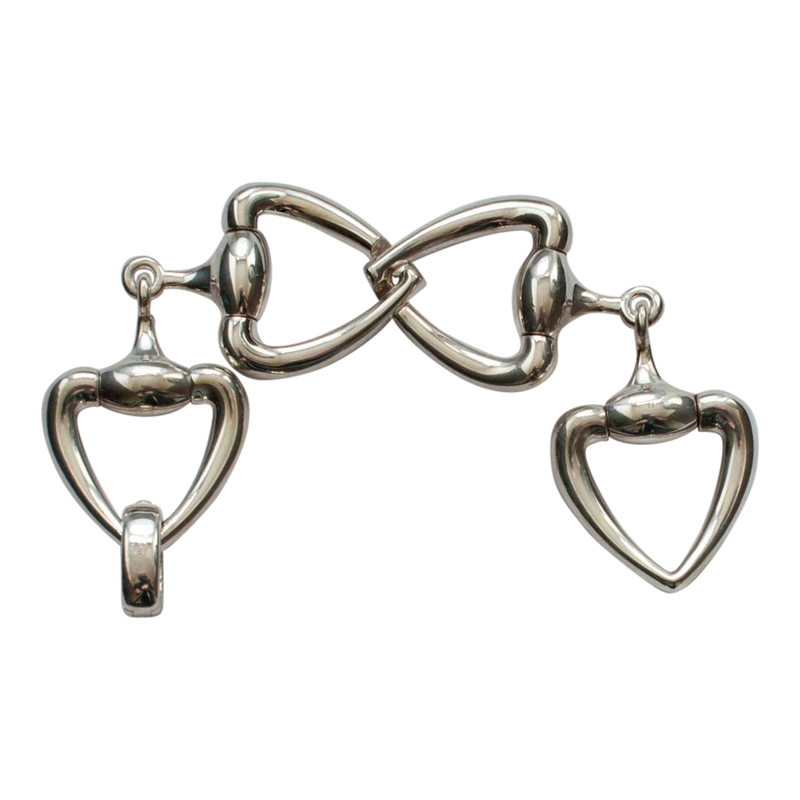 It is stamped 18ct and has a maker’s mark CLM. 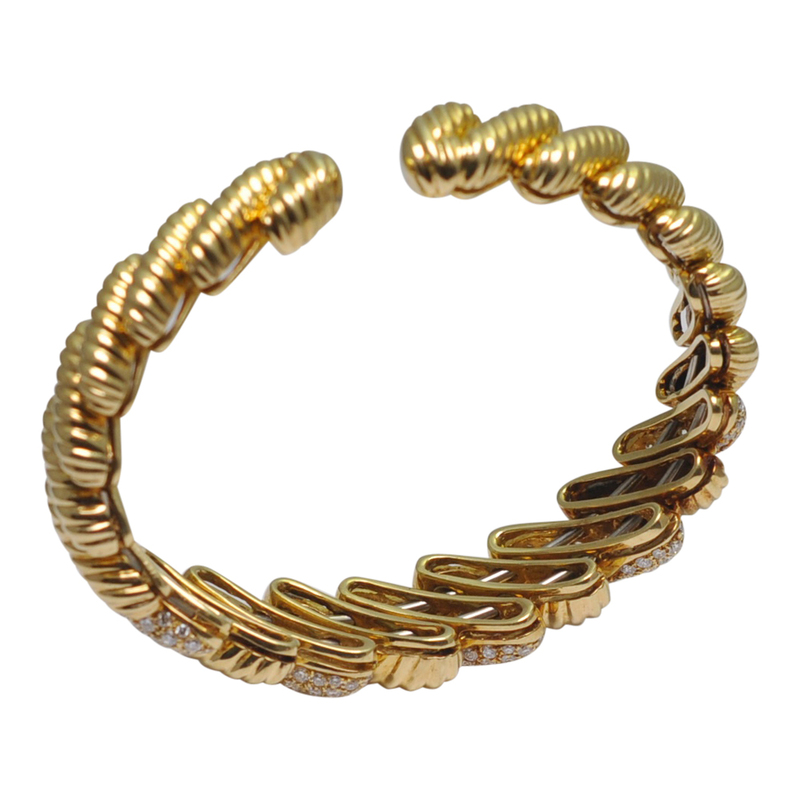 The bangle is of very high quality craftsmanship and dates from the 1980s.